We are strongly convinced that communication is a basis of the successful cooperation between the seller and the ultimate buyer. Today Project Support team stands ready to offer qualitative support to your clients providing online chat or telephone consultations. Entering your website, a visitor is not always ready to clear up its operating principle. It is more convenient to resort to the help of an expert consultant who provides you with maximum necessary information about a product or a service that you sell. You must care of it taking into account your site’s target audience and time zone. We recommend using round-the-clock support, which makes it easier for a client to make decision concerning cooperation with your service. Help can be first-line and background on your web site. A visitor may want to get a first-line help, an urgent reply to any important question here and then. Online chat (usually pop-up window) or a call to customer support service are the most frequent tools to solve this problem. Background help is provided with the request to site admin’s e-mail or contact form available in “Contacts” or “Help”. Anyway, website visitor expects a certain speed of request processing. Therefore, it is essential to engage consultants and financial experts in this process. Sometimes it is not enough for a potential customer to get written information – voice has more credibility, live contact increases conversion of web site’s visitors and it is often a decisive criterion to start cooperation. 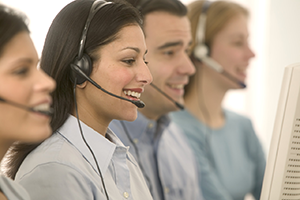 Project Support team manages 24-hour phone support of our customers. We are ready to take charge of all the issues connected with phone number registration of any country of interest, setting up of call forwarding or telephone answering device. Besides it, our experienced consultants will provide our customers with support at the highest level. Now we provide voice support in Russian and international (English) language. What service of support chat do we work with? We have had an opportunity to use tens of services on providing software to clients’ chat since 2011. They have their advantages and disadvantages. We will tell you about three chat services, which are used the most frequently. We think they deserve a special attention. 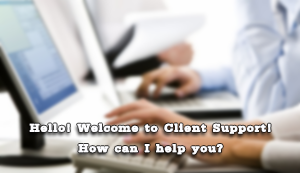 Provide Support Live Chat is one of the oldest and approved services. Unlike software that is more modern, this chat does not have active chat invitation function. It is not a pop-up service. To activate it the user should find the call button of support service operator on the page. Advantages of Provide Support Live Chat are a low cost and stable operation. Red Helper is the most convenient not only for a visitor but also for an operator-consultant. Advantages of this chat include generic pop-up function, convenient tools for attendance statistics and control of agent performance.Chat’s operator has an opportunity to see browser’s window through user’s eyes – only Red Helper has something like this. It allows making site navigation easier for a visitor, helping him find necessary information. Moreover, this service has a unique system of statistics and assessment of support-assisted service. At last, Jivochat is the most popular service. It has an inconceivable amount of settings which make chat’s operation incredibly convenient for a visitor as well as for a consultant. The chat window adjusts to any range of colors. Therefore, the button of support-assisted service matches general design of the chat perfectly. To give a valuable help an active pop-up window has the function to invite a visitor to the chat in a certain period while he is on one of the pages. You can place the chat window as an active shortcut anywhere on the page. All these three services have their own software, which is installed in operator’s computer. They form conversation logs and send them to admin’s e-mail. It allows assessing the quality of support service command and monitoring its operation. Project Support team has been providing support since 2011. We have many regular grateful clients. We are ready to be a reliable partner for you! Contact us for detailed information – we are always pleased to new meetings!